If you’ve been on the fence about whether to switch to solar power in your home, a new memo by Steven Weissman to California Gov. Gavin Newsom should convince you that the installation of solar panels makes not only financial sense, but will keep the lights on even in the event of a wildfire. The two-page report from Weissman, a former administrative judge at the California Public Utilities Commission, warns that PG&E customers could see their rates double almost immediately if the state doesn’t do more to curb these fires. Last year was one of the deadliest and costliest wildfire season in the history of California. A total of 86 people lost their lives in the 8,527 fires that burned and raged across the state, devastating 1,893,913 acres and causing damages that exceeded $1.792 billion. Many of those wildfires were blamed on utility companies that have now notified their customers they would intentionally turn off power lines when extreme weather conditions (high winds and heat) increase the risk of their equipment sparking dangerous wildfires. The installation of solar panels in your home to generate electricity from the sun can help keep the lights on even when utility companies decide to shut off power lines. Even if you remain connected to the grid, you’re no longer dependent solely on the whims or problems that affect it, as you have your own source of energy. In recent natural disasters, those with solar power saw the value of renewable energy as utilities struggled to restore electricity to their customers, who often had to wait several days, if not weeks, for power to return. PG&E filed for bankruptcy protection in January as it faces dozens of lawsuits over their liabilities in the fires of 2017 and 2018. But it’s not just PG&E customers that would see their rates go up, according to Weissman. In his assessment, the current lecturer at UC Berkeley’s Goldman School of Public Policy states that without “fundamental changes to law or industry structure”, and assuming that wildfires continue at recent levels, the average electricity customer statewide would experience a 50 percent rate hike in the first year alone. Already, utility customers can expect to pay more for the power they buy from utilities. Last year, state lawmakers approved a bill that will let utilities issue bonds to pay for the cost of the 2017 fires — and pass those costs along to ratepayers. And if electricity rates increase, electric service would become less reliable as utilities cut other costs, Weissman adds in his report. In an article published earlier this year, F. Todd Davidson, a research associate in the Energy Institute at the University of Texas at Austin, wrote that rooftop solar panels could help the power grid fight wildfires. Davidson says one of the factors that increase wildlife liability is long distance electricity transmission. “The fact that rooftop solar is located coincident with the consumption of electricity means that it does not require large, high voltage transmission lines that run through forests (or, at least, it could mean fewer lines),” he wrote. And it’s not just university professors who see the value of solar power amid the increase in wildfire risk in California. This month, the City of Fremont, California celebrated the successful deployment of its Solar Renewable Microgrid System at a local fire station. The idea behind it is that firefighters will be able to control their electricity needs through solar panels, making the fire station more resilient in case of wildfire, utility blackouts, hurricanes, or other disasters. All fire stations are required to have a diesel backup generator so they can operate 24x7 in case of emergencies, but the supply of diesel on hand in Fremont would only last 72 hours without replenishment, leaving the firefighters just as exposed as the general public. As you ponder whether to have a solar electricity home, remember that yes, there is the upfront installation of solar panels cost, but after that, you never have to deal with rate increases again. When you generate your own energy from solar panels, you take control of energy costs so you no longer have to deal with these variable utility rates. 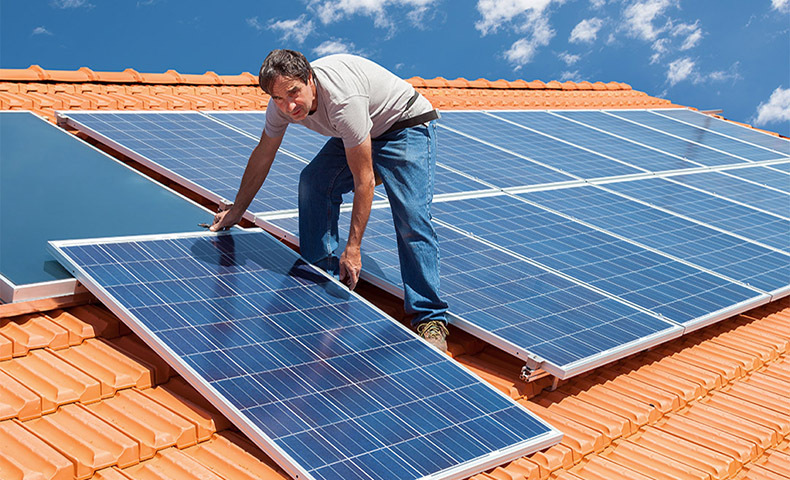 Even if the rates go up for your neighbors, installing solar panels will save you thousands of dollars over the course of its lifetime. Just another of the pros of solar power. PG&E customers can find out the price of a solar system in their area here!